It was 25 years ago, on November 9, 1989, when the Berlin Wall fell. At the time the FontShop office was in the midst of the action located on the ground floor of the Weinhaus Huth, directly at the Potsdamer Platz. 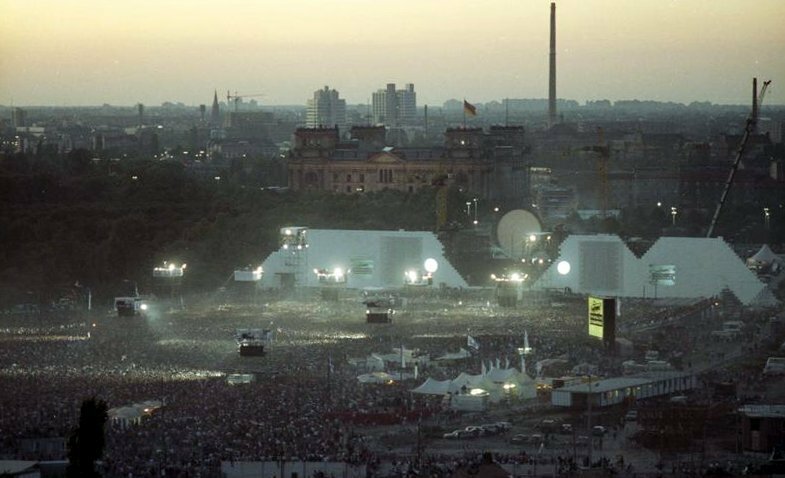 It was from the roof of the Weinhaus Huth on July 21, 1990, that I experienced the performance of "The Wall" during a concert directed by Pink Floyd co-founder Roger Waters. All of those involved waived their fees, and the proceeds of six million DM was donated to the Foundation World War Memorial Fund for Disaster Relief. At the time FontShop was about to move to Bergmannstraße, and Joan and Erik Spiekermann organized an open-air party on the roof of the Weinhaus Huth. Erik Spiekermann witnessed the fall of the wall up close with his two companies MetaDesign and FontShop. 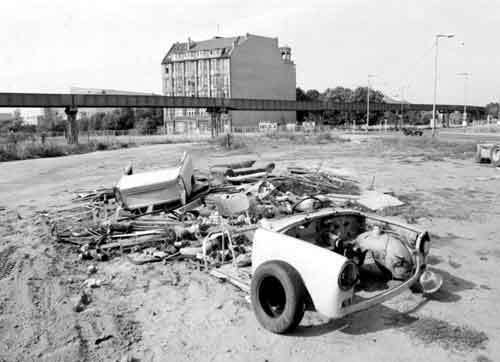 I can remember a telephone conversation with him in which he described how the young designers of Grappa from East Berlin often called into the offices at Potsdamer Platz to design and print deskto publishing leaflets. FontShop is proud to be founded in the same year that the Wall came down. The historic event is in line with the free type market which came into existence only because of the invention of the desktop publishing in the mid-80s. Before, fonts were part of the machines that had been used for setting text. Today, we enjoy the largest choice of computer fonts ever, in best quality and with as many characters as never before. Thanks to Adobe, Apple, and Linotype, the originators of DTP. Erik Spiekermann runs through the early history of FontShop.